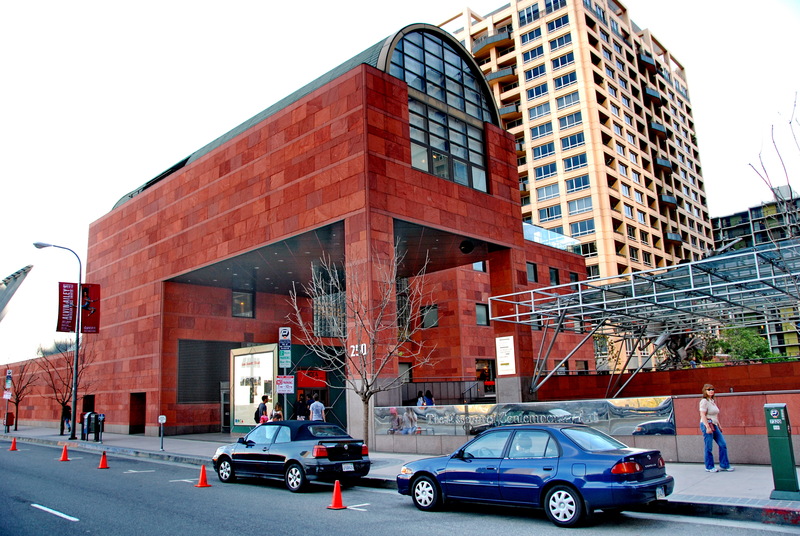 When the Museum of Contemporary Art (MOCA) opened its permanent quarters at California Plaza in 1987, Bunker Hill was a multi-level landscape of sprouting skyscrapers. 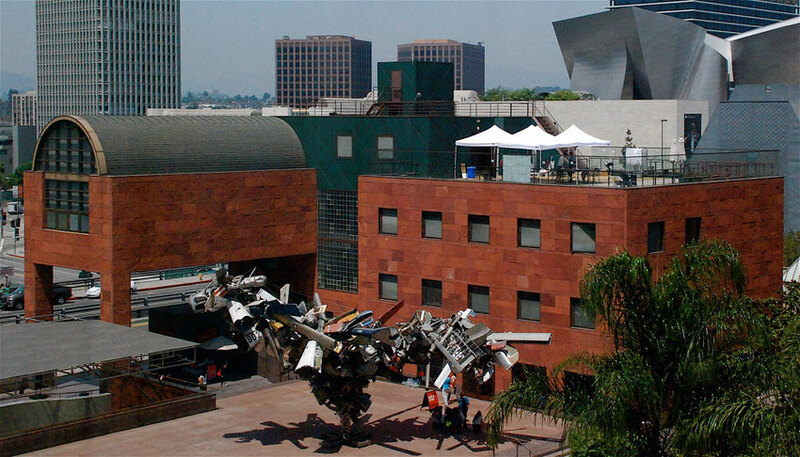 In addition to private donations, funds for MOCA came from a 1.5 % allocation of budgets from Bunker Hill development projects required to go towards public art. 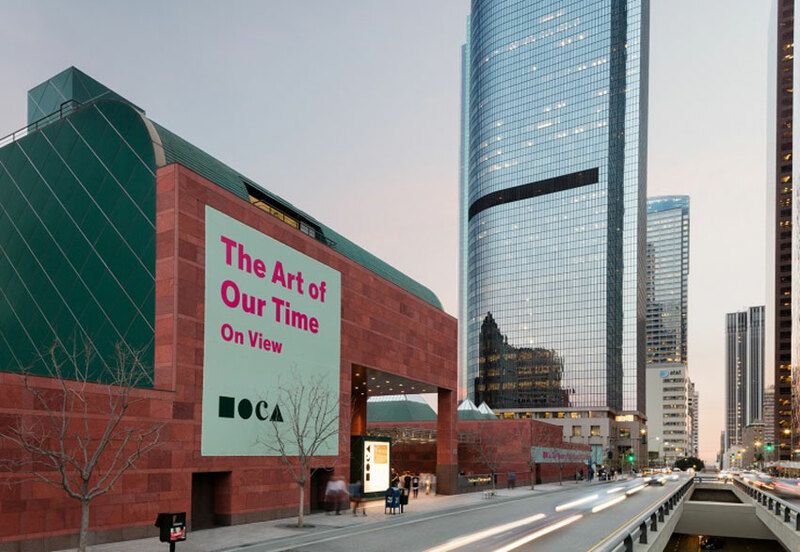 Japanese architect Arata Isozaki created a contrast to the extreme heights of the Bunker Hill glass-and-steel high rise towers by designing MOCA as a sunken, red sandstone-clad space. The entrance is marked by an arch leading to a subterranean terraced courtyard. Under and around the courtyard are the public galleries. Only four of its seven levels are above the street level. Administrative offices are located at the level of Upper Grand Street under a barrel-shaped roof. 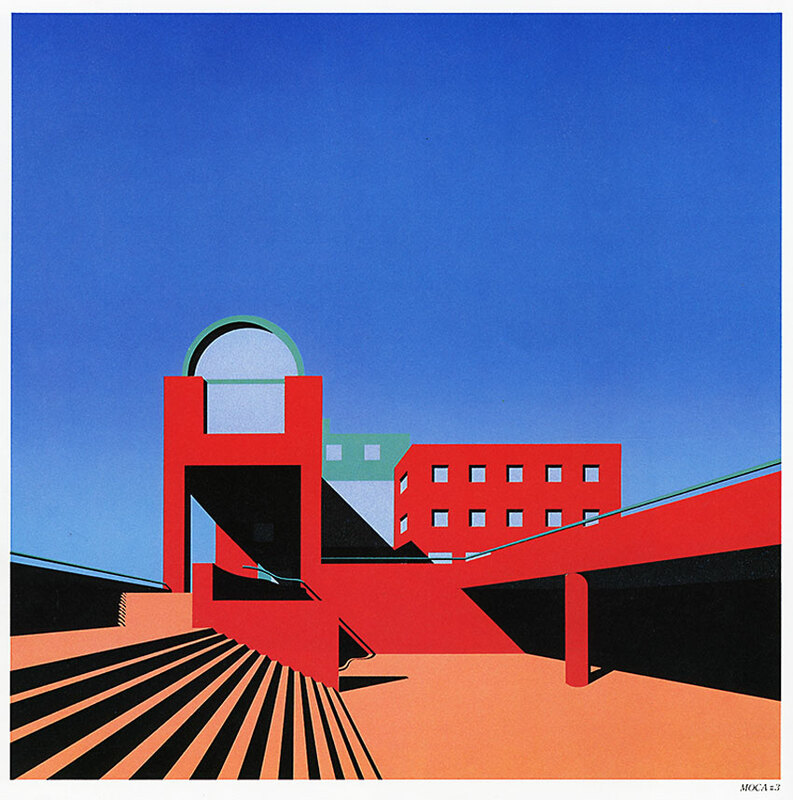 Isozaki chose forms and shapes for the building that were vaguely traditional, but mostly abstract. 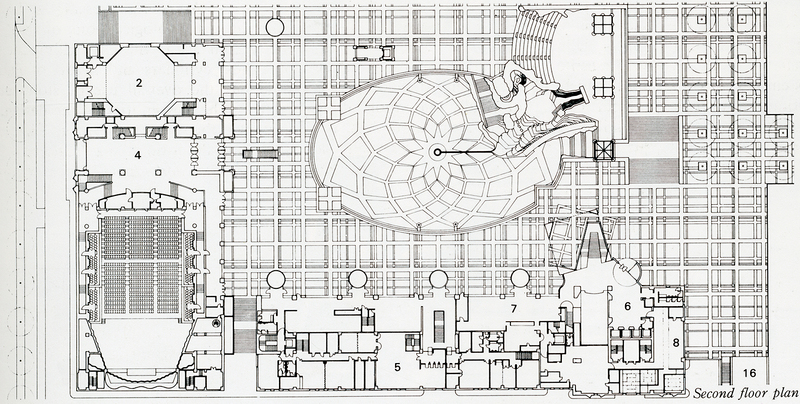 East Asian traditions were referenced with the play between positive and negative (building and courtyard) space. At its opening, critics derided the building’s windowless, blank wall along the Grand Street sidewalk, but Isozaki deliberately designed the building to face inward towards the California Plaza development. 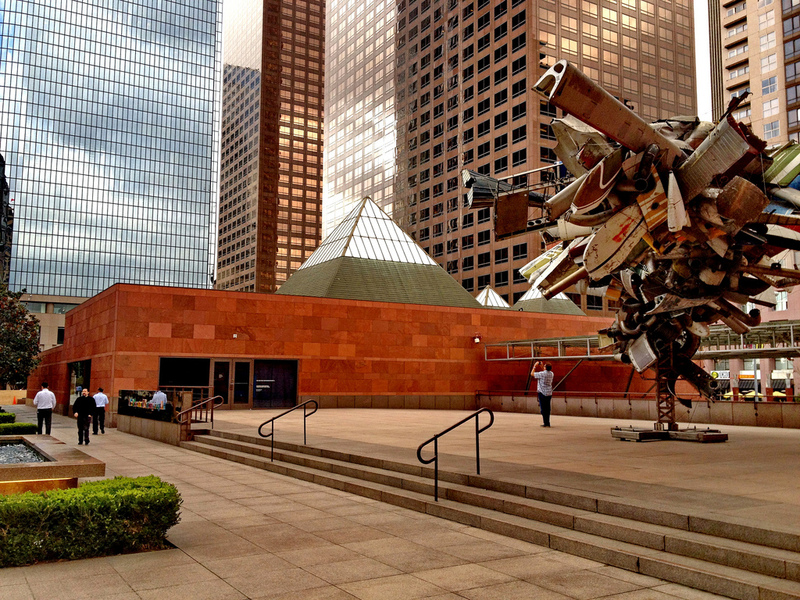 MOCA remains an oasis of low-rise tranquility with a deliberately different layout from traditional museums. The sole compensation for the CRA’s stupidity is this jewel-like cluster of geometric forms, clad in rough-textured red sandstone, hunkered down amid the office towers. 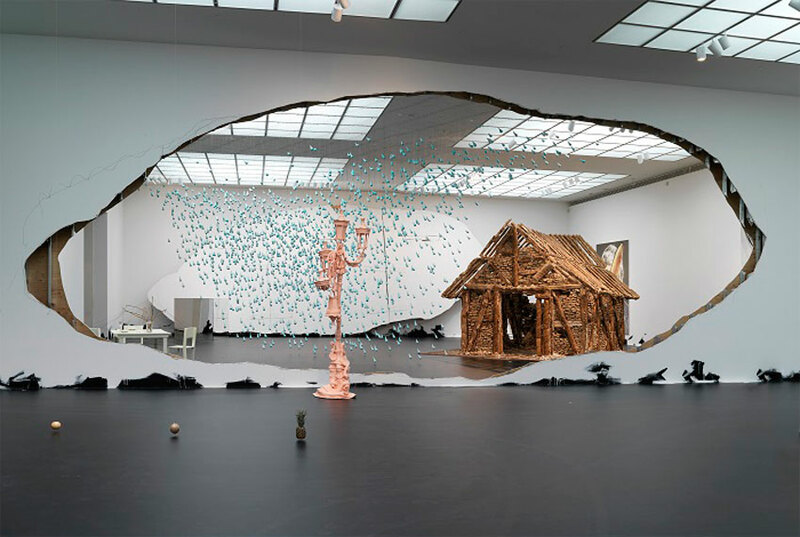 Major art and architecture exhibitions are presented in skylit galleries leading off the sunken court. 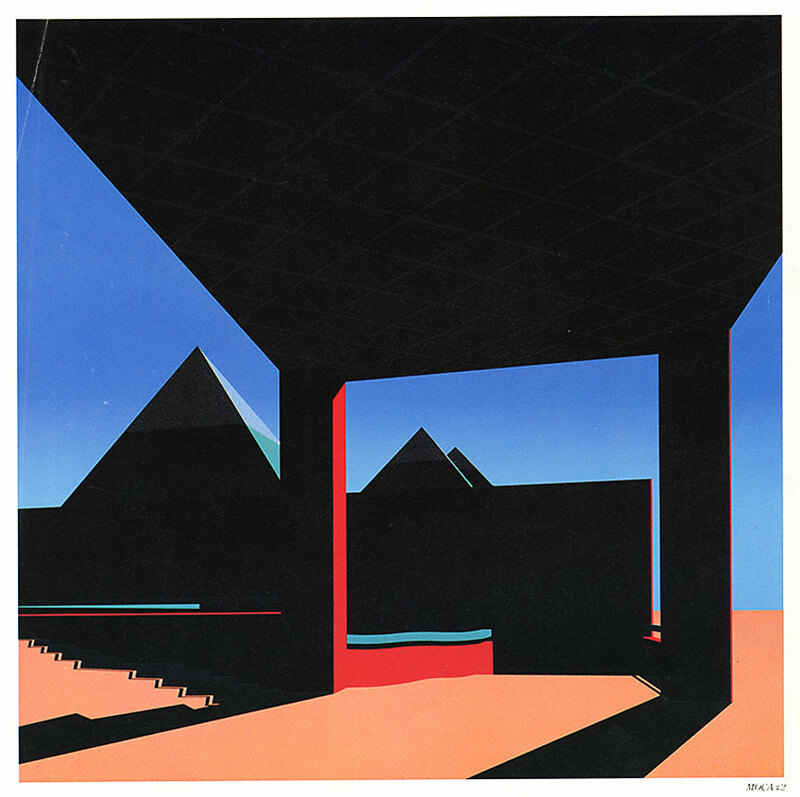 Cite this article: "MOCA Museum of Contemporary Art in Los Angeles / Arata Isozaki," in ArchEyes, June 1, 2016, http://archeyes.com/moca-arata-isozaki/.